ELDRITCH is a Progressive Metal band formed in 1991 in Livorno, Italy. After releasing two demos, they have released so far nine studio albums, including their debut album "Seeds Of Rage" (1995). 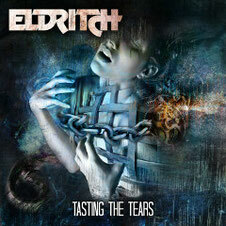 The ninth album is entitled "Tasting The Tears" and was released through Scarlet Records on February 17th 2014. They were influenced by such bands as QUEENSRYCHE, ANNIHILATOR, CORONER and FATES WARNING. On the latest album, the whole band worked together as a team, writing 11 brand new tracks which are melted each member’s influences into one direction. The result is 100% ELDRITCH: powerful guitars, melodic tunes and technical instrumental parts perfectly blended a classic Progressive album with Hard Rock influences, thrash and dark at the intervals in their unique way. 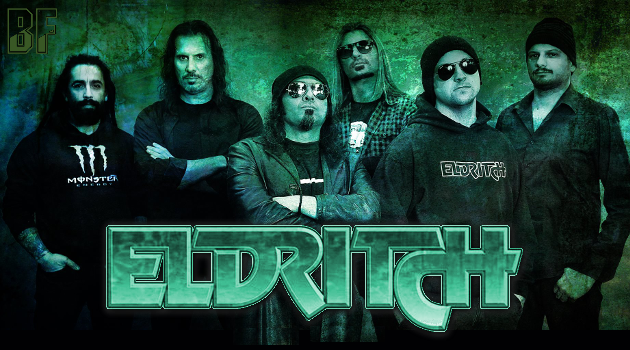 ElDRITCH has performed at numerous festivals such as Chicago Power Fest (USA), Sweden Rock Fest (Sweden), Maters Of Rock Fest (Switzerland), Sardinian Bay Area Rock Fest (Italy), Italian Revenge Festival (Italy) and RAGNAROKKR Metal Apocalypse (USA).